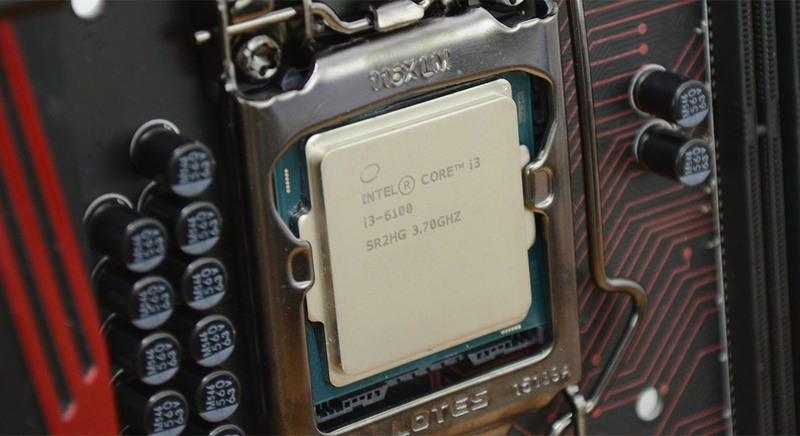 Late last year, several motherboard manufacturers including ASRock released updates to their boards that allowed users to overclock locked Intel 'Skylake' CPUs. This meant that some of Intel's lower-priced SKUs suddenly became great value, as overclocking them delivered performance in the range of more expensive parts. Naturally, Intel wasn't happy that some motherboard vendors were exploiting loopholes that allowed overclocking of locked CPUs. The company typically restricts overclocking to K-series parts, which they say are 'designed' to be pushed beyond their normal limits. In their eyes, overclocking non-K parts is "not recommended" and users basically shouldn't do it. To prevent non-K CPU overclocking, Intel has released a microcode update to motherboard partners that closes the loophole. As is normally the case, the partners will now integrate the update into a motherboard BIOS update, which users will then have to voluntarily install on their systems. The good news is that if you want to keep overclocking your non-K Skylake CPU, you can easily do so by simply not updating your motherboard's BIOS. You will miss out on any new features or bug fixes released in this or any future updates, but that will most likely be worth it if you want to continue to overclock. There is the possibility that vendors will remove the previous BIOS update that allowed non-K overclocking from their websites in the coming days, so if you're interested in trying it out, now is the time to do so. Also, don't be surprised if new motherboards released to stores in the coming months come with the non-K overclock-killing BIOS update pre-installed.